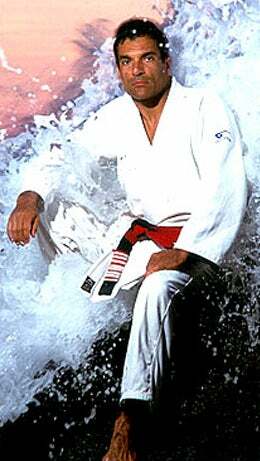 Rorion Gracie is willing to fight to the death to prove he’s the toughest man in the west. “I never spank my sons,” Rorion says, “because my father never spanked me.” He spends as much time as possible with his sons. He drives them to their soccer practice in his station wagon. He spends the day with them at the beach. Rorion has made a standing offer to fight anyone in the United States, winner take all, for $100,000. So far he has had no takers – for one simple reason. Rorion’s fights are fights to the finish with no rules.